Those Awesome Guys, together with Razer announced today a partnership set to illuminate Move or Die gamers around the globe. Move or Die, the essential friendship-ruining multiplayer party game on Steam has integrated the Razer Chroma functionality to elevate the entertainment immersion. From specific movement keys lighting up to each character’s color to warning lights flashing during Sudden Death moments, destroying friendships have never been more colorful with Razer Chroma. On Razer keyboards, movement keys will light up with each character’s color. All peripherals will flash the color of the character that just died during gameplay. All peripherals will flash the color of the winning character at the end of each round. All peripherals will flash when you level up followed by an animation wave on Razer keyboards based on an item’s rarity color. All peripherals will flash during Sudden Death and “Idle” warnings from the game. Razer headphones are synced to pulsate based on the rhythm of the soundtrack. ‘Works With Razer Chroma’ integration for Move or Die will be available immediately today. 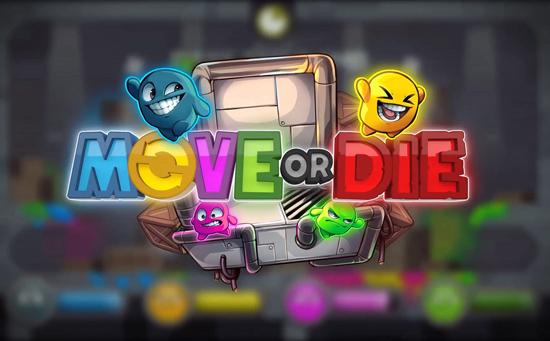 Move or Die is available now on Steam for $14.99.